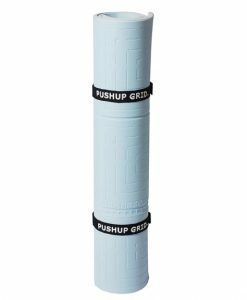 SKU: Exercise Alignment Mat. Category: Rental Exercise Mat. Tags: Air Force Push-up Test, Army Push-up Test, Border Patrol Push-up Test, Coast Guard Push-up Test, FBI Push-up Test, FITNESSGRAM, Marines Push-up Test, Navy Push-up Test, Police Push-up Test. As one of the best fitness products of its kind, the patented PEAMS® will help you to position your hands properly for performing the pushup exercise. “I gifted my brother-in-law with this mat. He loves the mat, especially the directions in which it came.... He loved the variety added to his regime.... Thank you for a fantastic design”. We accept PayPal and credit card payments through PayPal on our website. We also accept cashier’s check, business check, and money order via mail. Do you offer discounts on your products? YES! Periodically we may offer promotions that involve the use of coupon codes that allow for additional discount on our products. Like us on Facebook to learn about these promotions. What is the preferred method of placing an order? The preferred, quickest, and most convenient way of placing an order is through our website 24 hours a day. When you place your order through our website, you receive step-by-step details about the ordering process which concludes with a purchase number and confirmation email for your records. Is it safe to place an order online? ABSOLUTELY! All transactions and customers’ data are protected via our Secure Socket Layer (SSL) protocol and PayPal’s each time. To learn more about how SSL and Certificates work to protect your personal information view here. How can I place an order with a check or money order? To place an order and make payment by check or money order, please contact us. How soon will you process received orders? Your order will be processed within 1-2 business days once it has been received. How can I cancel an order I just placed? If you wish to cancel your order, please send us an email IMMEDIATELY to the email address in your order confirmation with your cancellation request. We will honor your request if your package has not been shipped. If your package has been shipped, we will not be able to accept your cancellation request. However, you may return your product(s) to us upon receipt, see return policy. Do you ship packages internationally? No, currently we ship packages domestically (within the Continental United States). We hope to offer international shipping in the future. Which carrier do you use for shipping packages? We currently use the United Parcel Service (UPS) and (United States Postal Service (USPS) to handle our shipping needs for all orders placed within the United States of America. What shipment services do you offer? For UPS, we offer ground shipment and for the USPS, we offer Priority Mail. If you would prefer another expedient shipment service offer by UPS or USPS, please contact us securely. Does UPS ship to Post Office Boxes? No, UPS requires a physical address to delivery your package. However, we can ship your package via USPS. USPS will deliver packages to Post Office Boxes, Army Post Office, or Military Bases within the Continental United States. How soon will you ship my package (processed order)? Your package will be shipped within 1-2 business days after your order has been processed. You will receive an email notification that includes your tracking ID number once your shipment has been created. When will my package arrive once it has been shipped? Ground shipment via UPS may take 2 to 5 business days based on the shipment destination and Priority Mail via USPS takes about 2 to 3 business days. Specific details about your package’s transit time will become available once you receive your Tracking ID number. For customers participating in our product leasing programs, we will accept returns at anytime. All other returns must be requested within 14 days from the purchase date for a full refund (less shipping charges). Please send us an email to the email address on your sales order receipt within 14 days from the purchase date with your order date and number. We prefer an email request because this method keeps a record of all communications between both parties and it confirms the requested return date. You will receive a confirmation email that we have received your request with further instructions on how to complete your request. Once we have received your returned package, we will honor your request by exchanging or refunding 100% of the value of your returned merchandise (less the shipping fee). No worries about restocking fee, we will not charge you any. We recommend that you return your package using a carrier that provides a tracking service so that you can confirm that your package was received by YOUTRAINFITNESS, LLC. Yes, if your products fail to function based on its design within 60 days from the date of purchase, please contact us with proof of purchase for an exchange.